THE COMPANY behind plans to develop a space centre on the island of Unst has joined forces with Shetland Islands Council (SIC) and Lockheed Martin, one of the world’s largest aerospace companies, to create a satellite tracking and communication centre on the UK’s most northerly island. The agreement for a satellite tracking centre, but not a vertical satellite launch base at this stage, was welcomed by Shetland MSP Tavish Scott who said that the signing was a “highly significant day for Unst”. Wood said Lockheed Martin was committed to supporting the UK’s goal of expanding its national space industry. Mr Wood said: “As the UK launches into the next space age, the Shetland Space Centre is the perfect location for vital ground stations as well as space situational awareness technology,” he said. 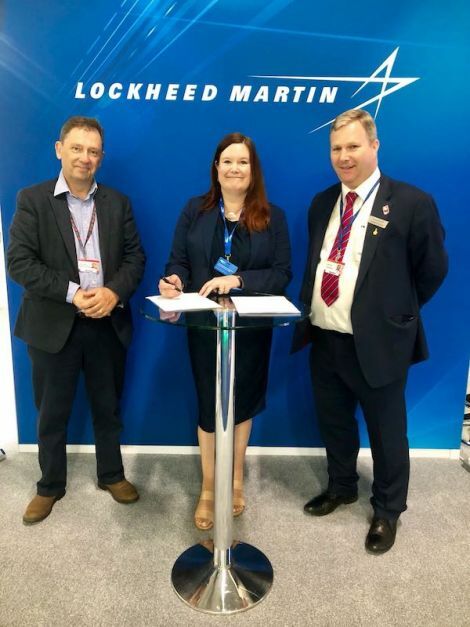 Hammond said the partnership with Lockheed Martin was a huge vote of confidence “in the potential of Shetland to become a major hub for the space industry in the UK”. “We look forward to working with some of the finest experts in the world on space to turn our plans into reality,” he said. “The support for proposed space activity in Sutherland is good news, and shows the strength of the sector in Scotland. Sandison said Shetland had geographical and physical advantages for the development of both launch and tracking facilities, but she didn’t give any details as to the extend of the council’s involvement in the venture. “On behalf of the SIC, I’m pleased to have signed this agreement with SSC and Lockheed Martin and we look forward to making progress for the benefit of Unst and the wider Shetland community,” she said. Scott said there could no be no doubt about the ambition to make Unst the centre of the UK’s satellite future. “I am very encouraged by this and by the many other satellite businesses that are in active discussions who want to use Unst too,” he said. “Just as with the arrival of the oil industry in the 1970s, Shetland and Unst are in the right place at the right time.